Let the collections at Kilmainham Gaol and Áras an Uachtaráin capture your imagination. Visit Dublin Castle and Wicklow Mountains National Park for their historical value. The adventure continues: take an in-depth tour of National Museum of Ireland - Archaeology, kick back and relax at Seapoint Beach, get lost in a book at National Library of Ireland, and stroll through Portmarnock Beach. To find maps, reviews, ratings, and more tourist information, refer to the Dublin driving holiday planner . Indianapolis, USA to Dublin is an approximately 12.5-hour flight. The time zone difference when traveling from Indianapolis to Dublin is 5 hours. Traveling from Indianapolis in September, things will get a bit cooler in Dublin: highs are around 62°F and lows about 48°F. Finish up your sightseeing early on the 16th (Sun) so you can go by car to Kilkenny. The country's smallest city in terms of population, Kilkenny boasts a rich cultural heritage and diverse tourist attractions that include well-preserved medieval architecture, exciting nightlife, a vibrant culinary scene, and abundant shopping opportunities. Let the collections at Hook Lighthouse and Rothe House and Garden capture your imagination. Your inner history buff will appreciate Kilkenny Castle and St. Canice's Cathedral & Round Tower. 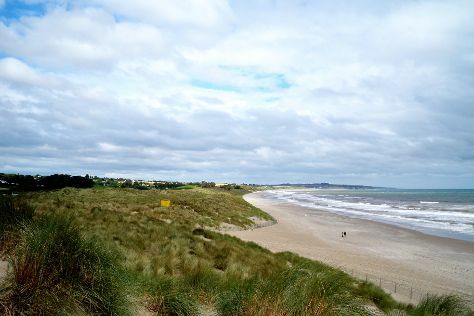 Change things up with these side-trips from Kilkenny: Rock of Cashel (in Cashel), Curracloe Beach (in Curracloe) and Waterford (Bishop's Palace & Waterford Treasures Medieval Museum). Next up on the itinerary: contemplate in the serene atmosphere at Jerpoint Abbey and indulge your thirst for a good beer at Smithwick's Experience Kilkenny. To see where to stay, reviews, and other tourist information, read Kilkenny sightseeing planner . You can drive from Dublin to Kilkenny in 1.5 hours. Other options are to take a train; or take a bus. In September, daily temperatures in Kilkenny can reach 62°F, while at night they dip to 51°F. Wrap up your sightseeing on the 19th (Wed) early enough to drive to Cork. One of the country's major artistic and cultural centers, famed for its many annual festivals, Cork straddles the Lee River and boasts over 30 bridges. 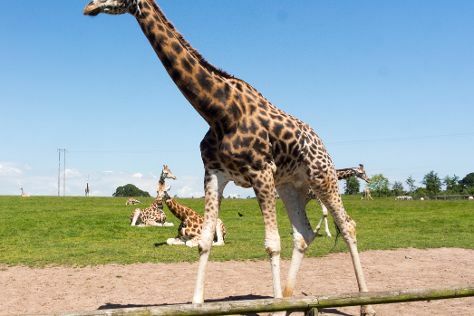 On the 19th (Wed), meet the residents at Fota Wildlife Park, then contemplate in the serene atmosphere at St. Anne's Church, and then get to know the fascinating history of Blarney Castle & Gardens. To see photos, traveler tips, where to stay, and more tourist information, go to the Cork trip website . Drive from Kilkenny to Cork in 2 hours. Alternatively, you can take a bus. In September, daily temperatures in Cork can reach 61°F, while at night they dip to 50°F. Wrap up your sightseeing by early afternoon on the 20th (Thu) to allow time for the car ride to Dingle. Located on Ireland's western coastline, Dingle sits between scenic mountains and the Atlantic Ocean. Take a break from the city and head to Inch Beach and The Dingle Way. You'll explore and learn at The Great Blasket Centre and Island and Harry Clarke Stained Glass Windows. Step out of Dingle with an excursion to Muckross House, Gardens & Traditional Farms in Killarney--about 1h 40 min away. Spend the 24th (Mon) exploring the striking scenery along Slea Head Drive. And it doesn't end there: head off the coast to Great Blasket Island, delve into the distant past at Gallarus Oratory, view the masterpieces at Fiadh Handwoven Design, and take in the architecture and atmosphere at St.James Church. To see other places to visit, traveler tips, where to stay, and tourist information, go to the Dingle road trip planning website . You can drive from Cork to Dingle in 2.5 hours. Other options are to take a bus; or do a combination of train and bus. 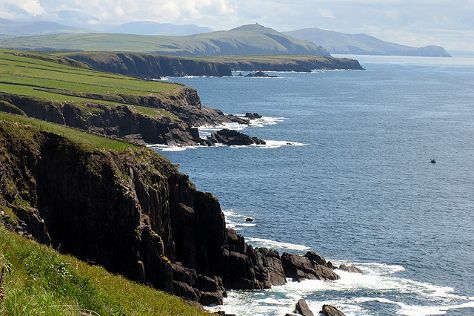 In September, daily temperatures in Dingle can reach 63°F, while at night they dip to 52°F. Wrap up your sightseeing on the 24th (Mon) to allow time to drive to Liscannor. Liscannor is a coastal village in County Clare, Ireland.GeographyLying on the west coast of Ireland, on Liscannor Bay, the village is located on the R478 road between Lahinch, to the east, and Doolin, to the north. On the 25th (Tue), kick back and relax at Lahinch Beach, contemplate in the serene atmosphere at Kilfenora Cathedral & Crosses, then admire the natural beauty at Doreen Drennan Art Studio & Garden, and finally explore the striking landscape at Cliffs of Moher. To find where to stay, ratings, photos, and tourist information, read our Liscannor trip app . Traveling by car from Dingle to Liscannor takes 3 hours. Alternatively, you can take a bus. Expect a daytime high around 63°F in September, and nighttime lows around 51°F. Finish up your sightseeing early on the 25th (Tue) so you can go by car to Galway. Museum-lovers will appreciate Derryglad Folk & Heritage Museum and Galway City Museum. Popular historic sites such as Galway Arts Centre and Salthill Promenade are in your itinerary. And it doesn't end there: kick back and relax at Salthill Beaches, make a trip to Galway's Latin Quarter, take in the spiritual surroundings of St. Nicholas' Collegiate Church, and head outdoors with Wild Atlantic Way Day Tours. To see ratings, maps, reviews, and other tourist information, refer to the Galway online itinerary builder . Getting from Liscannor to Galway by car takes about 1.5 hours. Other options: take a bus. In September, plan for daily highs up to 59°F, and evening lows to 48°F. Finish your sightseeing early on the 28th (Fri) so you can drive to Westport. Renowned for its Georgian architecture, Westport sits in the shadows of Croagh Patrick, considered the holiest mountain in Ireland. Deepen your sense of the past at sights like Kylemore Abbey & Victorian Walled Garden and Holy Trinity Church. You'll explore and learn at Michael Davitt Museum and National Museum of Ireland - Country Life. Explore Westport's surroundings by going to Keel Beach (in Achill Island) and Mulranny Strand (in Mulranny). There's much more to do: explore the landscape on two wheels at The Great Western Greenway, explore by horseback at Carrowholly Stables & Trekking Centre, add some adventure to your tour with a kayaking and canoeing tour, and cruise along Atlantic Drive on Achill Island. For maps, traveler tips, other places to visit, and more tourist information, refer to the Westport trip planner . You can drive from Galway to Westport in 1.5 hours. Another option is to take a bus. In September, daytime highs in Westport are 60°F, while nighttime lows are 48°F. Wrap up your sightseeing by early afternoon on the 2nd (Tue) to allow time for the car ride to Donegal Town. Its rugged setting and friendly locals make Donegal a popular destination along Ireland's coast. Kick off your visit on the 2nd (Tue): step into the grandiose world of Donegal Castle. Keep things going the next day: take in the dramatic natural features at Slieve League, take in the exciting artwork at Donegal Designer Makers, and then admire the masterpieces at Glebe House & Gallery The Derek Hill Collection. To find other places to visit, photos, ratings, and more tourist information, refer to the Donegal Town trip planner. Drive from Westport to Donegal Town in 2.5 hours. Alternatively, you can take a bus. October in Donegal Town sees daily highs of 56°F and lows of 50°F at night. Wrap up your sightseeing by early afternoon on the 4th (Thu) to allow enough time to travel to Derry. Ancient yet modern, Derry has a photogenic location on the River Foyle and features a series of historic defensive walls that are the most complete in Ireland. Kick off your visit on the 4th (Thu): get engrossed in the history at Tower Museum. Get ready for a full day of sightseeing on the next day: make a trip to Walled city Londonderry, get the lay of the land with Walking tours, then examine the collection at The Abingdon Collection, and finally contemplate the long history of Ulster American Folk Park. To find traveler tips, where to stay, and other tourist information, use the Derry trip planner . Getting from Donegal Town to Derry by car takes about 1.5 hours. October in Derry sees daily highs of 58°F and lows of 49°F at night. Finish up your sightseeing early on the 7th (Sun) so you can go by car to Belfast. A city with character, Belfast remains a great place for a leisurely exploration, as it is still relatively undiscovered by foreign tourists, who usually opt to visit Dublin instead. Let the collections at Titanic Belfast and Ulster Museum capture your imagination. Deepen your sense of the past at sights like Crumlin Road Gaol and Mount Stewart House. Get out of town with these interesting Belfast side-trips: Royal County Down Golf Club (in Newcastle) and Coast Rd (in Larne). And it doesn't end there: take an in-depth tour of HMS Caroline, contemplate the long history of Shankill Road, ponder the world of politics at Parliament Buildings, and step into the grandiose world of Carrickfergus Castle. To see ratings, maps, more things to do, and more tourist information, read our Belfast trip itinerary builder app . Traveling by car from Derry to Belfast takes 1.5 hours. Alternatively, you can take a bus. Expect a daytime high around 57°F in October, and nighttime lows around 48°F. Wrap up your sightseeing by early afternoon on the 12th (Fri) to allow time for the car ride to Dublin. On the 12th (Fri), enjoy the scholastic atmosphere at Trinity College Dublin. For photos, other places to visit, and tourist information, refer to the Dublin trip planner . You can drive from Belfast to Dublin in 2 hours. Other options are to take a bus; or take a train. On the 13th (Sat), you'll travel back home.